This model is brought to you by the American Heritage company who makes 3 other models of tables. 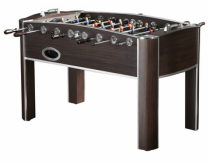 They are known for making a solid table and this one is at the high end of their product line. 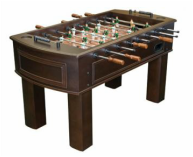 It features a rustic look that is becoming extremely trendy in home furniture design as well. 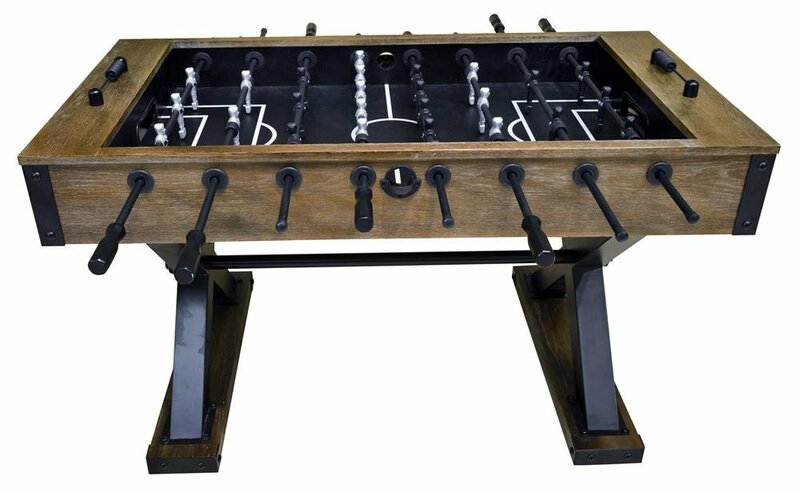 It features glossy black and silver players inside a sturdy distressed cabinet with decorative metal trim, which rests upon uniquely-crossed metal support beams. 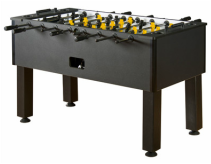 The Element comes furnished with two ball returns, manual scorers, adjustable leg levelers and four balls. 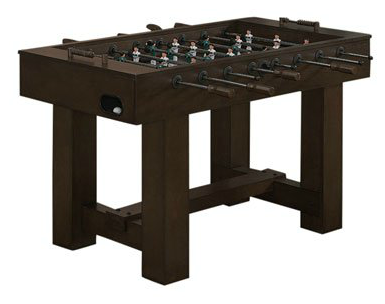 This table is priced at about $1,000 US.